Law Professor Joins OADP Advisory Council--with a link to her comprehensive law review article on Oregon's death penalty. States Move in Opposite Directions on the Death Penalty--from Pew Charitable Trusts' publication Statelines. A man convicted of aggravated murder shared the stage on May 2nd with a former Superintendent of Oregon’s maximum security prison, a former director of the Department of Corrections, an award-winning journalist and a former Oregon Supreme Court Chief Justice. The event, sponsored by Oregonians for Alternatives to the Death Penalty, drew an overflow crowd at Willamette University’s Putnam Center. Besides all being Oregonians, each of them now advocates the repeal of Oregon’s death penalty, a law that has profoundly touched them personally, one that has also eroded our economy, our due process of law and the foundations of our morality. Scott Cannon spent 11 years in the Oregon State Prison until all charges and his sentence were vacated in 2010. 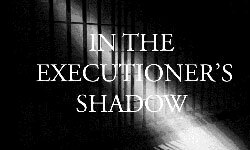 Frank Thompson and Dave Cook oversaw the only two Oregon executions in the past 50 years, as Superintendent of OSP and Director of the Oregon Department of Corrections, respectively. Naseem Rakha, the Capitol reporter for Oregon Public Broadcasting and NPR during that time, emceed the evening. Keynote speaker and recently-retired Supreme Court Chief Justice Paul De Muniz scorched the audience with a three-part indictment of Oregon’s death penalty. in 1960,” he added. Oregon has more than doubled its population, from 1.7 million to 3.8 million people since 1960. 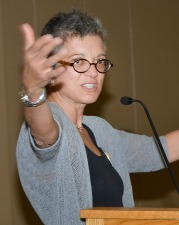 De Muniz, who chaired the Governor’s Commission on Public Safety urged the audience to continue advocating for a thorough audit of death penalty economics as a prelude to a repeal vote. That vote should come no later than 2016. 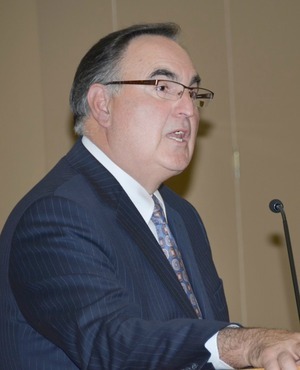 Burden on Courts: Justice De Muniz also pointed out the inordinate burden that the death penalty puts on the justice system and the extraordinary length of time it takes for each convicted death row inmate to work through the appeals process. De Muniz spoke of having defended a murder suspect sentenced to death in 1988. In the intervening 25 years, the former Chief Justice has experienced a full career in law-- from attorney, to judge, to Chief Justice of the Supreme Court and now into retirement. The inmate is still on death row. 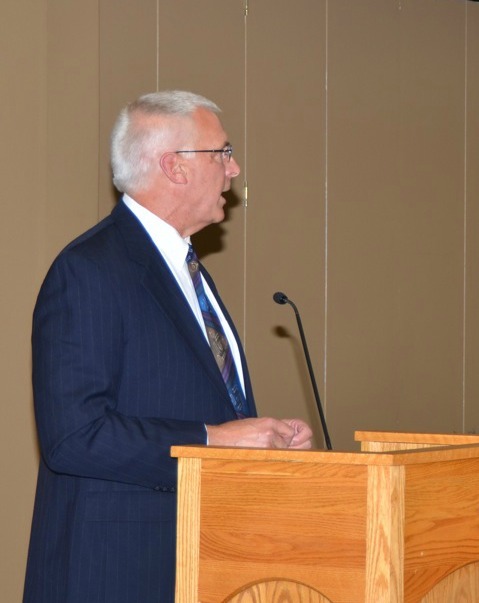 Reversals: The third subject of his talk dealt with the large number of death penalty cases that have been overturned and returned to lower counts to start again either on the ‘sentencing portion,’ the ‘guilt portion’ or both. Records show that nearly half of all Oregon death penalty cases have been overturned. The length of the appeals process and the many cases that are overturned, based on errors and constitutionally inadequate defense, add greatly to the cost of the system. The large and enthusiastic sell-out crowd gave Justice De Muniz a standing ovation. 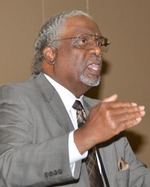 Back to "In This Issue..
Judge Boyce Martin took the occasion of his final death penalty decision from the bench of the U.S. Court of Appeals to sharply criticize capital punishment in this country. 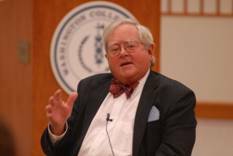 While upholding the conviction and death sentence of the defendant, Harold Nichol, Judge Martin said, “I continue to condemn the use of the death penalty as an arbitrary, biased and broken criminal justice tool.” He noted that the many years since Nichol’s conviction in 1990 have consumed “countless judicial hours, money, legal resources, and provided no closure for the families of the victims.” He added that resources spent on the death penalty could be better used for other programs: The time, money and energy spent trying to secure the death of this defendant would have been better spent improving this country’s mental health and educational institutions, which may help prevent crimes such as the ones we are presented with today. Judge Martin served as a judge on the Sixth Circuit for more than three decades. Editor’s note: Joining retired Justice De Muniz and retired Circuit Court Judge Martin, there will be additional Oregon Justices who will be speaking out against the death penalty. Watch for more comments coming in our October newsletter. 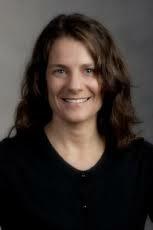 Aliza Kaplan teaches Legal Analysis and Writing, Wrongful Convictions and a seminar on Public Interest Lawyering. She consults on death penalty and wrongful conviction cases, represents asylum seekers and is an active board member of the Oregon Justice Resource Center. 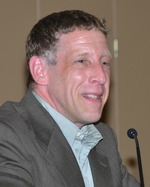 Prior to teaching at Lewis & Clark, Professor Kaplan was an Associate Professor of Legal Skills at Brooklyn Law School. She was also the Deputy Director of the national Innocence Project, an organization that represents prison inmates in their efforts to obtain DNA testing to prove their innocence, and co-founded the New England Innocence Project. Professor Kaplan’s recent article in the Lewis and Clark Law Review, Oregon’s Death Penalty: The Practical Reality, has become an important reference, used by law students, lawyers and judges. OADP supporters will serve themselves very well to read and understand the situation here in Oregon. The OADP Advisory Council is now made up of ninety citizens who lend their time and talents to the Board of Directors in networking, providing advice and volunteering for specific tasks in the effort to repeal the Oregon death penalty. Two major events are high priorities for the OADP board of directors for the fall of this year. Based on the success and wonderful comments on the organization’s May annual meeting, it has become important to the board to continue to stage larger events to help educate the public and draw the attention of various interest groups and organizations. Wednesday, October 16, there will be an ecumenical faith community rally and banquet at the First United Methodist Church at SW 18th and Jefferson in Portland. OADP is working to attract the leadership of as many faith communities as possible. The effort is designed to energize and mobilize communities of faith to set up activities for their own memberships to discuss the flaws of the death penalty and ways to move toward repeal within the next two years. Already seven of the major Oregon faith communities’ Bishops or Executive Ministers have made a commitment to participate. We expect at least 14 or 15 denominations, including Christians, Jews, Muslims, Buddhists, Sikhs and others, to be involved. Besides organizing their own memberships, we hope participants will work with members of other faiths to achieve the goal of Oregon becoming a non-death penalty state. We are seeking supporters in the Portland area to help promote and stage this important event. And if there is interest from other parts of the state, OADP will be quick to consider additional events beyond the metro area. For more information, call (503) 990-7060. Further details will be forthcoming in the fall newsletter and e-mail advisories. The second event, on Saturday, November 2, at Western Oregon University (Monmouth), will bring together crime victim organizations and law enforcement to build bridges and create dialogue around mutual goals for restorative justice and peace in our communities. Often when crime occurs, the media focuses attention on the offender and the prosecution. The victims’ families are left to deal on their own with the trauma, the loss, the seemingly endless trials, the economic impact of crime and the need for healing to be able to move on. Too often they find little in the criminal justice system to assist with these needs. At the same time, law enforcement seeks preventive measures that deter crime and re-direct young people from a life inside the criminal justice system to more productive lives. There is common ground that can be found in regard to preventing crime and dealing with the aftermath of crime. OADP is interested in fostering these discussions because the death penalty is intimately involved with the goals of crime prevention, rehabilitation of offenders, and support of murder victim families, along with efforts to find the resources to advance these goals. Any group and its members interested in these topics is welcome to participate. From the Oregon Department of Justice, to the Department of Corrections, the Police Chiefs’ Association, the Sheriffs’ Association, the Oregon Youth Authority--all are invited. Organizations that represent the victims and their families have also been invited, with a very good initial response. They include Oregon Department of Justice Victim Services, Oregon Crime Victims’ Law Center, Parents of Murdered Children, Oregon Network of Child Abuse Centers, Coalition Against Domestic and Sexual Violence, Murder Victims’ Families for Reconciliation, and many more. There is a long list of agencies and organizations involved in these topics listed at our website, and we hope to attract a very large turnout. To organize this event, we need help from our supporters. If you would like to be involved, please let us know. Call (503) 990-7060 to indicate your level of interest and any ideas you have for the early planning sessions. 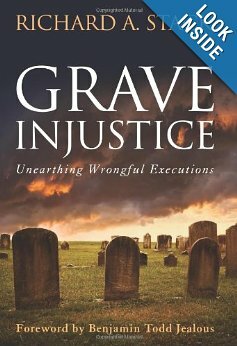 Richard A. Stack is out with a new book, GRAVE INJUSTICE: Unearthing Wrongful Executions. Stack is on the faculty of American University and the author of three previous books, including Dead Wrong: Violence, Vengeance and the Victims of Capital Punishment. His new book provides compelling descriptions of seventeen wrongful executions illustrating the flaws of the death penalty, which he argues, is ineffective in deterring crime and costs more than sentences of life without parole. He demonstrates that racial disparities in implementation, procedural errors, incompetent defense attorneys and mistaken eyewitness identifications lead to an alarming number of wrongful convictions. The book includes a forward by Benjamin Todd Jealous, National President of the NAACP, and is published by Potomac Books. It’s available at most book stores and on-line book sellers. From STATELINE, the daily news service of the Pew Charitable Trusts, comes a new article on the supporters and opponents of capital punishment agreeing that the current death penalty is expensive, inefficient and arbitrary. While some state legislatures have reacted by abolishing the death penalty, others are trying to speed it up. Since 2007, six states have abolished capital punishment, most recently Maryland, which did so this year. Other states, troubled by some of the same problems, have moved in the opposite direction. They include North Carolina, which repealed its Racial Justice Act; Florida, where Gov. Rick Scott has signed a law that will speed up the executions process; and California, where death penalty supporters are working on a citizen’s initiative for the 2014 ballot to restart the death penalty. Attorneys general in California and North Carolina are contesting lawsuits that claim their executions by lethal injection are “cruel and unusual” and thus unconstitutional. Nationwide, the lag between handing down a death sentence and the actual execution averages 14 years. In Florida, however, the average wait is 22 years. Read the full article here. Stateline is a nonpartisan, nonprofit news service of the Pew Charitable Trusts that provides daily reporting and analysis on trends in state policy. On August 1, the Texas Department of Criminal Justice announced its remaining supply of pentobarbital, used for lethal injections, expires in September, and it is unsure where to obtain more. The drug's manufacturer, Lundbeck, Inc., has barred distribution to states intending to use the drug in executions. DPIC’s Executive Director, Richard Dieter, remarked, “What’s happening is a scramble by Texas and other states to find something to quickly get into the syringe, rather than a reasoned public discussion about, if we’re going to do this, what is the best practice. The problem here is that life-saving drugs used by medical professionals are being used in executions, and the drug companies don’t want to be a part of that.” In recent months, other states have sought alternatives to pentobarbital. Missouri said it intended to use propofol, though its manufacturer also opposed such use. Georgia, Arkansas, Nebraska, California and other states are also reviewing execution procedures in response to problems with earlier protocols. On August 1, a federal District Court in Florida ordered the state to reveal information about the drugs to be used in the upcoming execution of John Ferguson on August 5. Florida replied that it received doses of pentobarbital manufactured by Hospira, Inc. for Lundbeck, Inc. from Cardinal Health in Ohio. The drugs were received in 2011 and have expiration dates of Sept. 30 and Nov. 30, 2013. NEW VOICES: Arkansas Attorney General Says State DP "Completely Broken"
Arkansas Attorney General Dustin McDaniel recently said the state’s death penalty system was“completely broken” and recommended it be abolished if the state's execution method isn't changed. “I don’t think we are telling jurors the truth when we lead them to believe that they are sentencing someone to death when we really don’t have a viable system with which to execute someone.” In speaking to the Sheriffs Association, he criticized the state’s lethal injection protocol because there are no execution drugs available and because of the difficulty in getting physicians to participate in executions. Arkansas currently has 38 inmates on death row. The state's last execution was in 2005. In the first half of 2013, six states carried out 18 executions. In the same period last year, there were 23 executions in 8 states. The annual number of executions has declined significantly from its peak in 1999, when 98 people were put to death. There were 43 executions in 2011 and 2012. Sixteen of this year's executions (89%) have been in the south, with nearly half in Texas (8). Eight of the defendants executed so far this year were black, and ten were white. Seventy-three percent (73%) of the victims in cases resulting in executions this year were white, even though generally whites are victims of murder in less than 50% of the cases. All of the executions in 2013 but one have been by lethal injection. (Robert Gleason chose to be executed by electrocution in Virginia in January.) All of the lethal injections were carried out using pentobarbital, either in a single or multiple-drug protocol. The American Bar Association recently released its annual report, The State of Criminal Justice-2013, including a chapter on developments in capital punishment in the United States. In that chapter, author Ronald Tabak focuses on the continuing decline in death sentences and executions, recent innocence cases, and new voices who have spoken out about the death penalty. The chapter highlights recent research on capital punishment, including studies that found racial disparities in death sentences in the federal and military death penalty systems. The report also discusses relevant cases from the U.S. Supreme Court, including Maples v. Thomas and Martinez v. Ryan, dealing with proper representation in capital cases. Tabak concludes that as the problems surrounding the death penalty continue to grow, its elimination "deserves serious consideration." At a recent event sponsored by the High Commissioner for Human Rights, United Nations Secretary General Ban Ki-Moon encouraged member nations to work towards ending capital punishment. He particularly focused on the risk of wrongful executions, saying, "We have a duty to prevent innocent people from paying the ultimate price for miscarriages of justice. The most sensible way is to end the death penalty."